Ascent Industries announced the departure of CEO Philip Campbell, Chief Operating Officer Reid Parr and President James Poelzer last week in a news release. The resignations came after Health Canada notified Agrima Botanicals – an Ascent subsidiary – on Nov. 16 of its intention to revoke the licenses, which the company said are necessary to grow, produce, store and sell medical cannabis in Canada. It’s the first time Health Canada moved to revoke a license, a sign that the government agency is keeping a closer eye on companies for potential violations. Under the Access to Cannabis for Medical Purposes Regulations (ACMPR) and the recently enacted Cannabis Regulations, companies must inform law enforcement regarding the suspension of licensed activities. The Royal Canadian Mounted Police would not confirm or deny whether they were looking into the matter even though a Health Canada representative said the RCMP has been notified. “If an investigation is taking place, we will only comment if charges are laid,” said Cpl. Louise Savard, RCMP media relations officer. The licenses were suspended in September after Health Canada informed Agrima “it did not meet all of its recordkeeping and other compliance requirements,” according to the company. Ascent has until Dec. 17 to appeal the decision, which the company said it intends to do. Health Canada said it suspended the Agrima licenses “for noncompliance with the ACMPR and (Narcotic Control Regulations)” but would not elaborate on which parts of the regulations were alleged to have been breached. Ascent said the initial Health Canada review was focused on the period during which the company was privately held. Ascent went public on the Canadian Securities Exchange in August under the ticker symbol ASNT. The company’s stock has plummeted 60% since late September, when the partial suspension was announced. Ascent also operates in the United States through wholly owned subsidiaries in Nevada and Oregon, with licenses to produce, process and distribute cannabis and processed products. The Oregon Liquor Control Commission granted a marijuana wholesaler license and a marijuana processor license to Ascent’s Luff Enterprises on July 26, 2017. 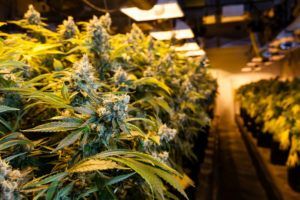 Then in November, Nevada granted Ascent’s Sweet Cannabis certifications as a medical marijuana production establishment and MMJ cultivation business. In the regulatory filing, Ascent said it is further expanding into federally legal jurisdictions outside Canada, including Europe through a wholly owned subsidiary in Denmark.